You've got to see what the rapper said! The Twitter king is back! Kanye West returned to the social media site with a bang. The rapper went on a Twitter rampage Sunday night, revealing his future tattoo plans, showing off new shoe designs and sticking up for Khloe Kardashian‘s ex, Lamar Odom! Click through to see what he said. 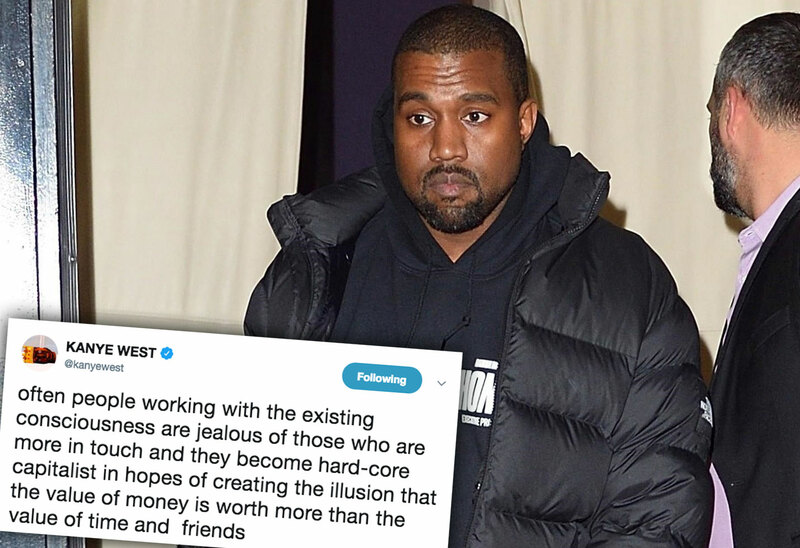 Kanye posted ten messages and pictures to his Twitter account in the span of three hours on Sunday night, his first tweets in almost a year. The tweets ranged from his "favorite Saint Pablo Tee" to his upcoming shoe designs. The rapper also revealed his future tattoo ideas — his son Saint West's name which he wants to get on the back of his neck! Then the "Heartless" singer shared a photo of him and his sister-in-law's ex, writing: "my favorite moment of walking into MSG to play Saint Pablo, I used to go to the hospital and play Lamar the album when he was learning to walk and talk again. Then we walked into the arena together." As Star readers know, Lamar overdosed and almost died back in 2015. The basketball player was in a coma for 3 days, but after a long road of therapy, Lamar made a full recovery. In Kanye's later tweets, he got philosophical. "Often people working with the existing consciousness are jealous of those who are more in touch," he wrote. "They become hard-core capitalist in hopes of creating the illusion that the value of money is worth more than the value of time and friends." What do you think of Kanye's iconic return to Twitter? Sound off in the comment section.